​The McIntosh MC301 monoblock amplifier delivers 300 watts of power into a single channel at 2, 4 or 8 ohms. Both balanced and unbalanced inputs are included for connecting yourpreamp​, along with balanced and unbalanced outputs for ease of connecting bi-amp configurations.Its monoblock design is the ultimate in system configuration as each speaker has its own dedicated amp, guaranteeing maximum channel separation and audio fidelity. While it is physically smaller than our other amplifiers thanks to its space saving 6” tall chassis, it's still full of all the technology McIntosh is known for and will perform to the same high standards as any of our amps. 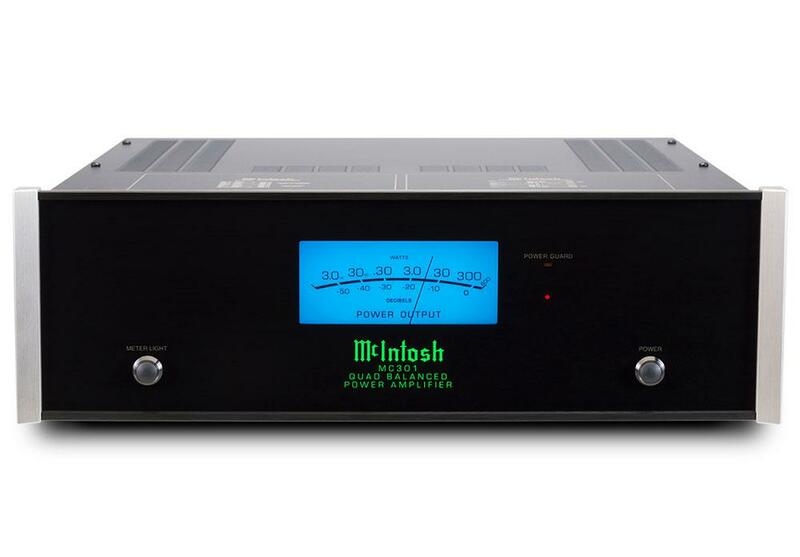 The McIntosh output Autoformer ensures everyspeakerreceives full power regardless of its impedance. With our Quad Balanced design, any noise is cancelled inside the Autoformer, yielding the highest power with the least amount of distortion. Our unique Power Guardcircuitry prevents harsh sounding clipping that could damage your speakers. Yourspeaker cables​will be securely connected to the amp with our patented speaker binding posts.